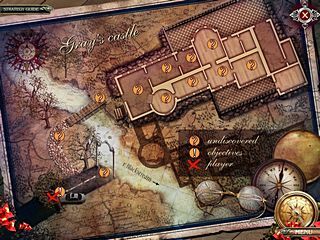 Grim Tales: The Legacy is a newly released hidden object puzzle adventure game. The game is dark, and the levels are challenging. The story of the game is the one that you don't want to be your own in real life. The game mostly consists of mane scenes that you visit and explore. You play as a young woman who is on her way to reconnect with her sister. They haven't seen each other for a long time, and it seems that now is the chance to have this great family reunion. But family reunions often do not turn out what they are expected to be. This story is no exception. As you arrive to your sister's place to meet her husband and see her son'd christoning, you come across strange things all over the place and soon realize that things aren't that good. You will have to find and rescue your sister and her family from the danger hanging over them. All of that can be played in one of three modes of difficulty that can be switched any time in the game when you click on button Menu. As for the audio-visuals, they are absolutely wonderful. The voice-overs are perfect and the sounds and music are not worse. The graphics are very detailed and beautiful featuring many animated parts. The game mostly consists of mane scenes that you visit and explore. The active areas are highlighted for you, and many objects are hidden to be found and used somewhere in the game. There are puzzles that you came across as you play. They are all part of the story and general gameplay. 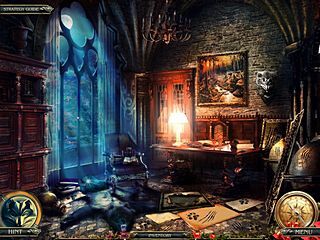 The same is with the hidden object scenes. They are all parts of the locations that you explore. The difficulty level of this part is nicely balanced, which is always great as you are neither done in 5 sec nor stuck for hours. The game is really polished enough to be one of the best recent releases into this genre. Moin!Bei mir hats ganz normal gedlaen. Bin bis zum 4. Level gekommen, dann war die Zeit vorbei. War gerade am Steichholzsuchen. Irgendwann sieht man alles andere, nur keine Streichhf6lzer mehr. This is Grim Tales: The Legacy review. Download this game here.